Abstract. Knowledge of soils in the permafrost region has advanced immensely in recent decades, despite the remoteness and inaccessibility of most of the region and the sampling limitations posed by the severe environment. These efforts significantly increased estimates of the amount of organic carbon stored in permafrost-region soils and improved understanding of how pedogenic processes unique to permafrost environments built enormous organic carbon stocks during the Quaternary. This knowledge has also called attention to the importance of permafrost-affected soils to the global carbon cycle and the potential vulnerability of the region's soil organic carbon (SOC) stocks to changing climatic conditions. 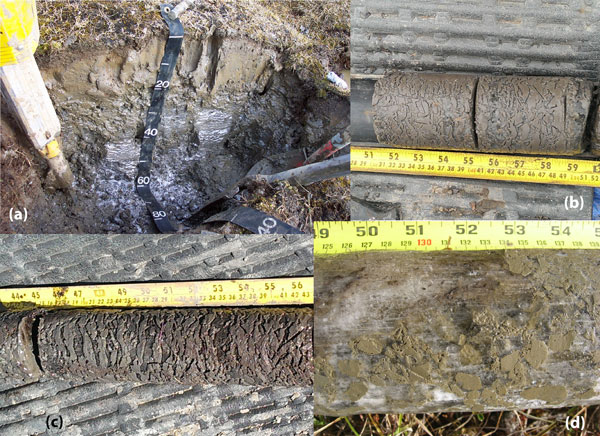 In this review, we briefly introduce the permafrost characteristics, ice structures, and cryopedogenic processes that shape the development of permafrost-affected soils, and discuss their effects on soil structures and on organic matter distributions within the soil profile. We then examine the quantity of organic carbon stored in permafrost-region soils, as well as the characteristics, intrinsic decomposability, and potential vulnerability of this organic carbon to permafrost thaw under a warming climate. 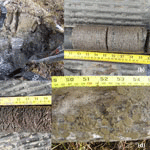 Overall, frozen conditions and cryopedogenic processes, such as cryoturbation, have slowed decomposition and enhanced the sequestration of organic carbon in permafrost-affected soils over millennial timescales. Due to the low temperatures, the organic matter in permafrost soils is often less humified than in more temperate soils, making some portion of this stored organic carbon relatively vulnerable to mineralization upon thawing of permafrost. How to cite: Ping, C. L., Jastrow, J. D., Jorgenson, M. T., Michaelson, G. J., and Shur, Y. L.: Permafrost soils and carbon cycling, SOIL, 1, 147-171, https://doi.org/10.5194/soil-1-147-2015, 2015.